Power Flame has several proven solutions available for gaseous or liquid fired water tube packaged boilers. 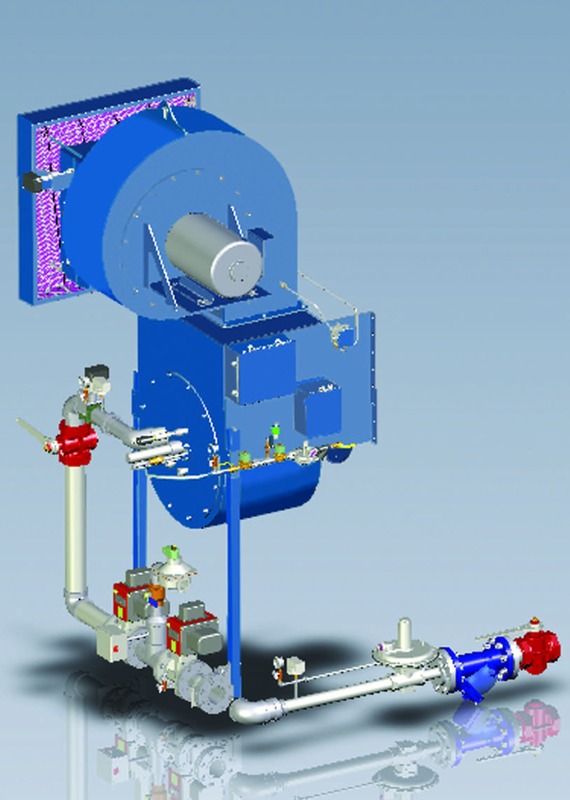 In an industry previously dominated by windbox/register type burners, Power Flame offers two distinct solutions: windbox style burners in the Vector and ultra low NOx CSB models; or gun style burners in the Cmax, Ultra Cmax and Nova Plus models. Our range of burners offer maximum efficiency, stable combustion, low and ultra low NOx emissions. PLC or microprocessor based state-of-the-art controls are available along with industrial grade fuel components and accessories. Our modular concept common on all Power Flame burners produces added flexibility for a wide range of optional features and code requirements. When possible, our packaged combustion systems are factory fire-tested to ensure cost effective installation and start-up.